Time to pack your case and head on to the beach or the pool in relaxed style with Hush with easy to wear and style pieces which run from cute swimsuits to amazing dresses and of course the most comfortable sandals in the world. 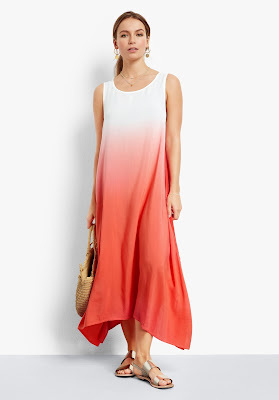 Seriously Hush make the most amazing clothes and they are so easy to wear especially in the summer and on holiday in contemporary colours and eye-catching prints, you just add sunshine. Hit refresh in this stylish black and gold embroidered summer dress. Sitting elegantly off the shoulder with an elasticated waist, team with metallic sandals for a polished look. 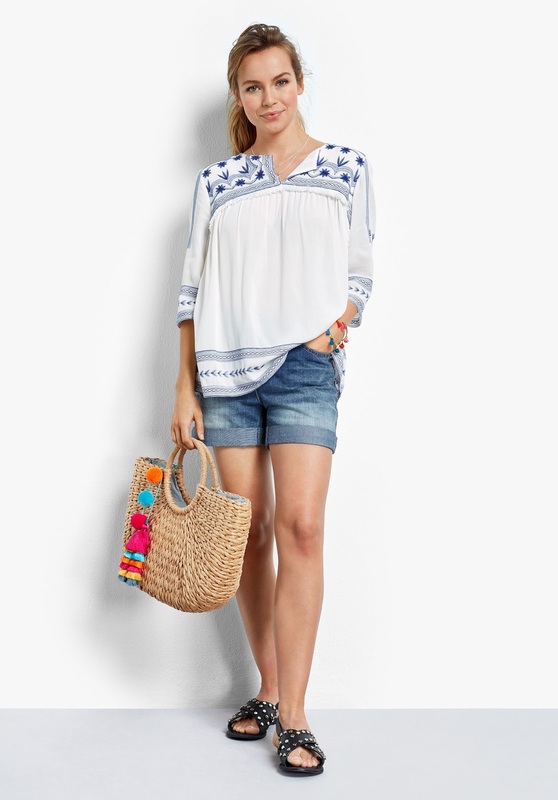 Update your holiday wardrobe with this beautifully embroidered top in crisp white and blue. 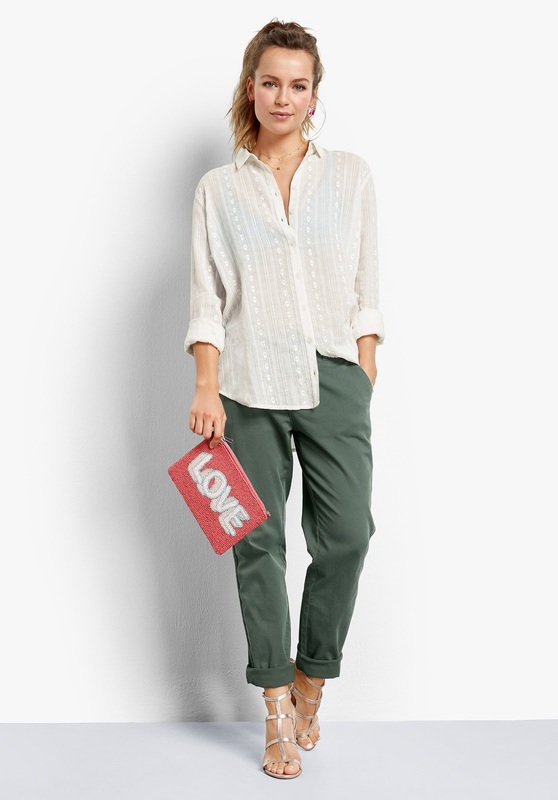 On-trend and highly versatile, our Girlfriend chinos are a new season staple so easy to wear and just as easy to style. An eye-catching post beach cover up, ensure you pack the Hayley Ombre midi dress this holiday season. 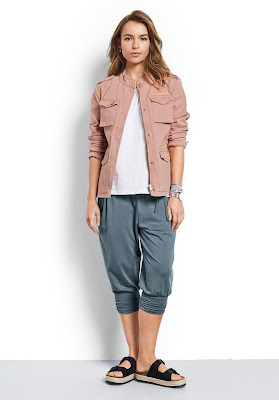 This cool military inspired jacket features small epaulettes and patch pockets. Super versatile, roll the sleeves for a relaxed look and wear with a hush tee and joggers. Make a subtle statement this season in this contemporary lightweight sheer shirt. A classic for the summer season, pull on this soft stretch cotton Tasha vest dress for easy every day style. With an adjustable length, ruched skirt and relaxed V neck top. 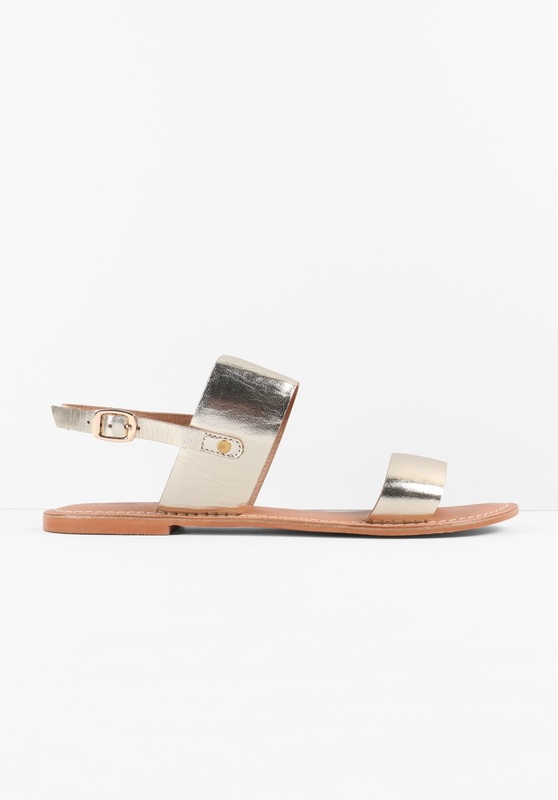 A fresh take on a classic design, these metallic sandals are a stylish choice for warm days. An elasticated buckle strap and sling back fastening ensure a perfect fit.